I received my PhD in Computer Engineering on May 2011 from the Electrical and Computer Engineering department at IIT. I am currently employed with United Technologies Research Center as a Sr. Research Scientist. Prior to pursuing my doctoral degree, I completed my Masters in computer engineering from IIT on Fall 2007. My MS and PhD research focused in the area of wireless networking particularly on "theoretical and protocol design aspects" pertaining to improving capacity and security in next-generation multi-hop wireless networks such as wireless mesh networks (WMNs), ad hoc networks. For more information on my research interests and publications, please visit the Research Page. Teaching Assistant, Jan 2007- Present. Research Assistant, Aug '06- Dec '10. 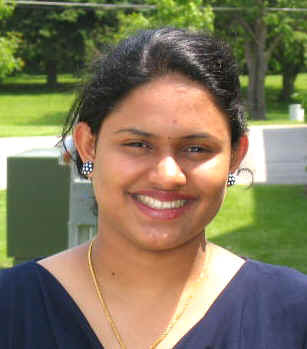 Highest Standards of Academic Achievement, Illinois Institute of Technology, July 2011. Employed with United Technologies Research Center as Sr. Research Scientist. Graduated with Ph.D on May 14, 2011.